Treatment for hypertension or high blood pressure needs expert guidance and medication. You also need to keep a watch on what you’re eating so your blood pressure remains stable. 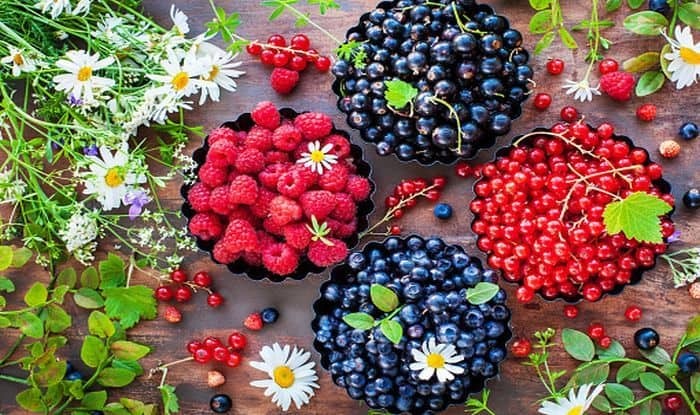 Berries: Flavonoid-rich berries especially, blueberries, raspberries and strawberries, have abundant minerals like potassium and anthocyanin that have been found to exhibit anti-inflammatory effects on the arterial walls. Radish: Radish leaves are famed for their antihypertensive properties because they contain ethyl acetate which controls blood pressure. Beetroot: Nitrate and potassium in beetroot can help control your blood pressure levels. In fact, a research has found that a glass of beetroot can lower blood pressure within 24 hours of consumption. Garlic: Garlic extracts have been found to relax the muscles of the arteries. This helps reduce both the diastolic as well as the systolic blood pressure. Whole grains: It is important to include lots of fibre in your diet. In fibre-rich whole grains, the compounds help break down the cholesterol deposited in the arteries. This could help make the blood pressure normal. You can include whole grains in your rotis every day. Milk and milk products: These are rich in calcium which can affect blood pressure. Calcium is responsible for normal and smooth muscle contraction that helps blood vessels transport blood efficiently. Dark chocolate: According to a report published in BMC Medicine, dark chocolate has flavanols which can reduce blood pressure. Flavanols help with the formation of nitric oxide that helps keep blood pressure in check. Even though dark chocolate is healthy, you must make sure you do not overindulge. Stick to 1-2 pieces daily. Indian Gooseberry: Amla is commonly used in Ayurvedic formulations for heart disorders. Amla has been found to reduce bad cholesterol levels in the blood. Vitamin C-rich amla can also help widen the blood vessels and thus reducing blood pressure.